Marijuana certainly has a lot of benefits and our list will cover 7 reasons why we need to support Medical Marijuana in particular. There are already medications that contain cannabinoids, one of the chemicals found in marijuana and many more are being developed every day. However, although the US Food and Drug Administration has not yet approved its medicinal use, there are finally many studies being initiated. Law enforcement has long stood against the legalization of marijuana and because of that, many have not had the chance to use cannabis as a medical alternative. There are dozens of tests and studies that prove weed is actually a natural cure to many ailments. But what exactly are these benefits? Countless studies have shown that, contrary to the stigma that surrounds the use of marijuana, there are actually a lot of medicinal uses to marijuana. From easing the symptoms of Glaucoma and relieving the pain that comes with arthritis, to helping prevent cancer and slowing down the progress of Alzheimer’s disease, scientific research confirms marijuana’s effectiveness when used as medicine. Weed smokers are, on average, slimmer than those who do not smoke. This can be attributed to its ability to regulate insulin production. 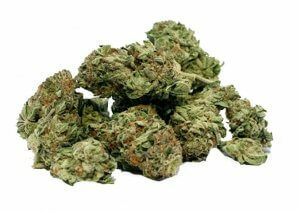 This intake of medical marijuana seems that it can help manage the daily calorie intake of the body more efficiently. Medical marijuana has been found to improve the mood of those who use it, which is why it can help kick depression and anxiety out of the user’s thoughts. Additionally, it can be used as a mild sedative and aids in relaxation. The use of hard drugs and liquor can have a potentially fatal effect on the body, aggravated by the addiction to them that comes with repeated use. Medical marijuana, however, is far safer than both tobacco and alcohol. Recent studies have shown that marijuana is easier to turn to, making it a safer alternative to all other sorts of harmful and deadly substance addictions. The use of medical marijuana has been associated with increased creativity and better focus, which debunks the stereotype concept of it making you dumb. Studies have confirmed that the use of medical marijuana can help you focus on your tasks, which increases productivity and output. However, using marijuana can show up on a marijuana blood test, so best avoid utilizing it when you know you’re about to be tested at your workplace. Tobacco users usually show signs of lung health deterioration over time. However, a 2012 study showed that, so long as cigarette smoking is halted, smoking medical marijuana could actually increase the smoker’s lung capacity and help reverse the side effects associated with prolonged tobacco smoking. Post traumatic stress disorder or PTSD, is not just as a result of having been exposed to war. There are events that may happen in our daily lives that could lead to its diagnoses as well. Marijuana can help people relax, which is something that can benefit those who suffer from PTSD.These 7 Reasons why we need to support medical marijuana are only but a few of the many amazing benefits of using marijuana for medicinal reasons. Although there are some potential risks with its use, such as memory loss or dependency, scientific studies have pointed out many more countless benefits that, in some situations, can outweigh theses risks. What else do you know about medical marijuana? Please add your comments below!